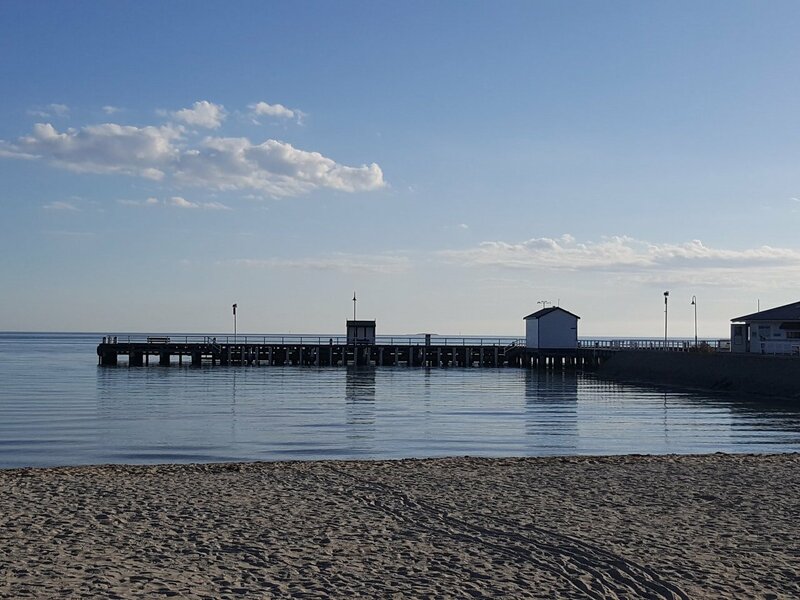 With two large bays and an ocean coastline nearby, Melbourne always has plenty of magnificent shore diving and snorkelling locations on offer regardless of the weather conditions and season. It all starts on the Bellarine Peninsula and Corio Bay, south of Melbourne on the Western side of Port Phillip Bay. Cottage By The Sea Reef, in Lonsdale Bay, is a great shore dive. 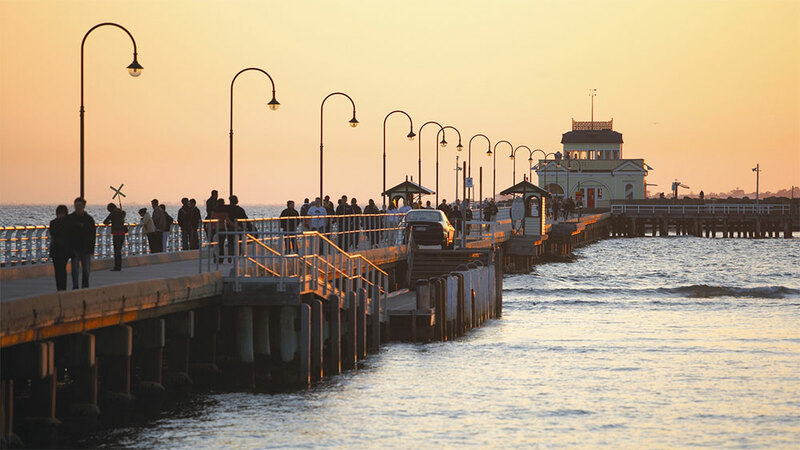 Melbourne's popular beaches and marine protected areas along the shores and 260 kilometres (162 miles) coastline of Port Phillip Bay have many great wonders to be found by intrepid snorkellers and scuba divers. The natural beauty and local marine life to be found is simply amazing. South of Melbourne on the Mornington Peninsula, more than 100 different species of nudibranchs have been sighted under Blairgowrie Pier. 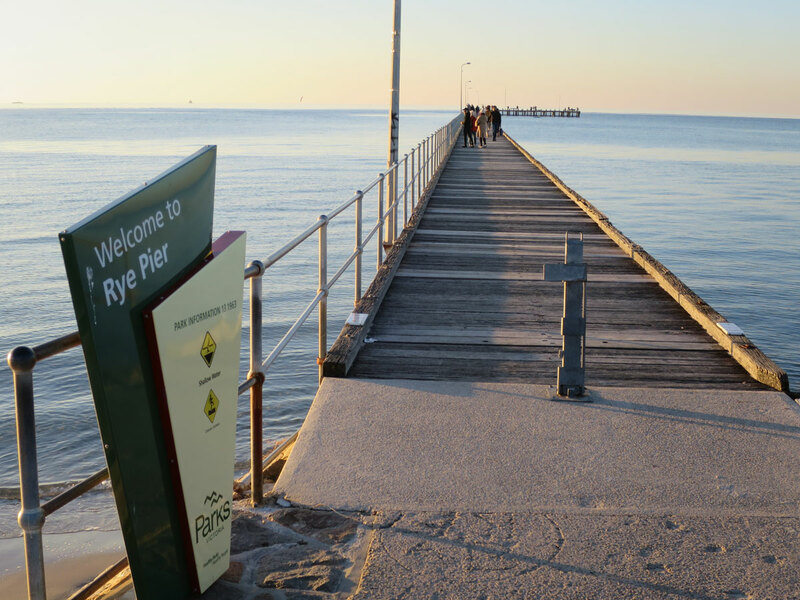 You'll more than likely come across seahorses at Rye Pier and weedy sea dragons at Portsea Pier. 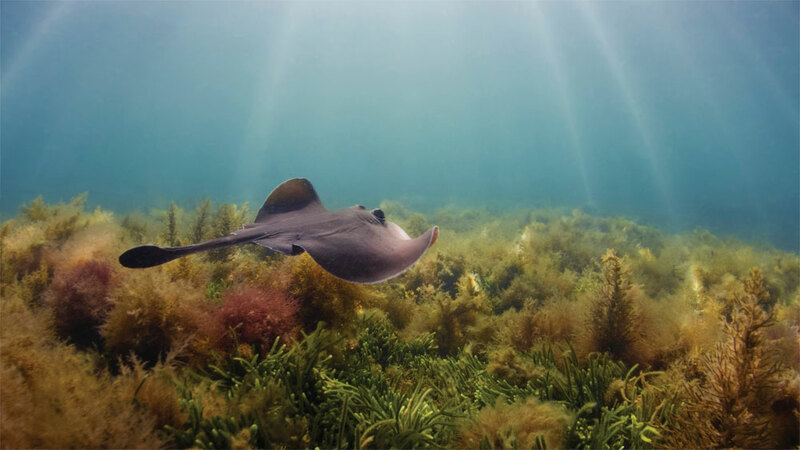 Experienced and adventurous divers can also check out the rugged shores of Melbourne's Back Beaches on the Nepean Peninsula, where the land meets the often wild seas of Bass Strait. Diamond Bay and others are probably the best shore diving sites in the whole of Victoria, but can only be accessed when conditions are just right. See also, Diving the Back Beaches. 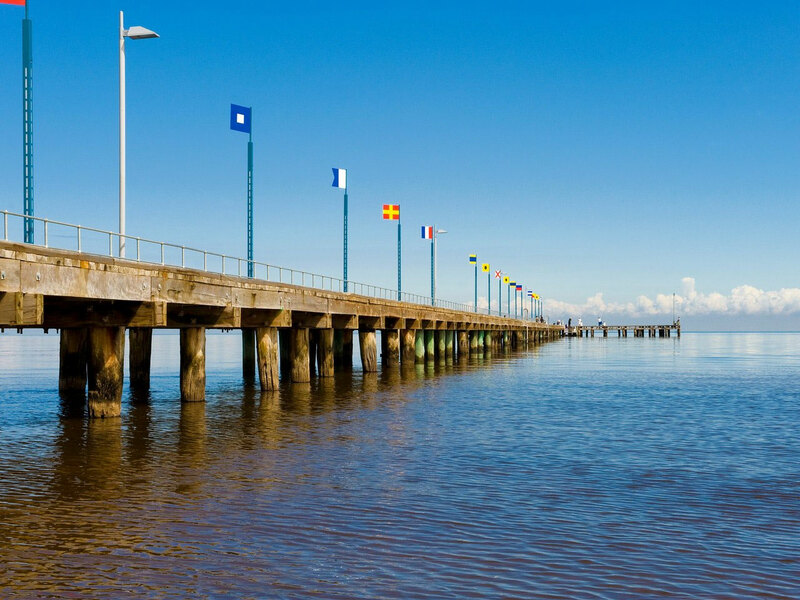 Finally, there are some unique dive sites in Westernport Bay. 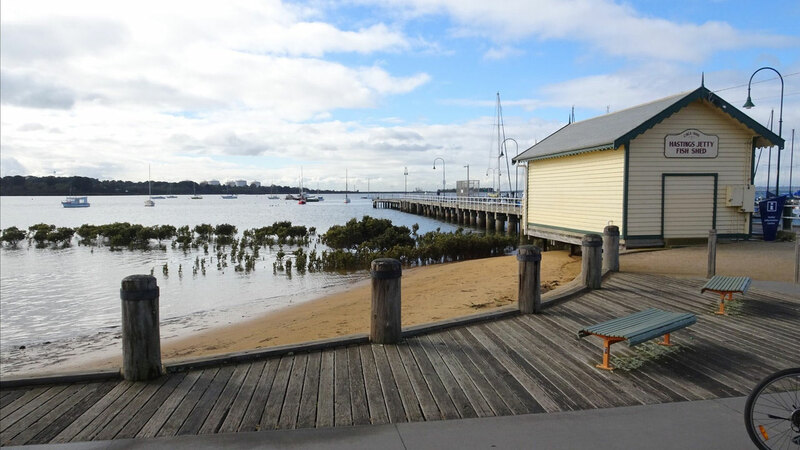 Flinders Pier is a popular choice, especially when you want to take a look at weedy sea dragons. See also, Weedy Seadragons Melbourne. Such a wide variety of dive locations and so many choices. And it's all cheaply accessible by scuba diving or snorkelling at these great shore dive sites close to Melbourne. Contact us on 03 5985 1700 for further information including recommendations for appropriate dive sites according to weather conditions. Please sign up for our newsletter, or Follow us on Facebook to stay up-to-date with local dive reports. The shore dives on this page are divided up into sections, the same way as in the reference book 'Shore Dives of Victoria'. Level: Advanced Open Water and beyond. Buckley's Cave at the foot of Point Lonsdale lighthouse is named after William Buckley, an escapee from Sorrento who was reputed to have lived in the cave from 1803 until his return to white civilisation in 1835. This is the starting point for some very interesting shore dives. Access is not difficult, especially at low water. Access is via the path from the lighthouse, past Buckley's Cave, straight into the water, or out onto the platform. From here you can explore Mushroom Rock, and the shark gutter. The area is part of the Harold Holt Marine Reserve. The highlight of these shore dives are the many wrecks that have been hammered onto these reefs from the seaward side. The wrecks of the Glaneuse, George Roper, Black Boy, Holyhead and Gange all lie here abouts. These shore dives are for experienced divers only. Skill is required to pick the conditions and times the site can be dived. Best to dive at slack water. Depth: 2 to 10 m.
Offshore from here is an expanse of shallow reef with good fish life. As the site is sheltered and has only mild currents, it's often used as a training dive site. Depth: 0 to 5 m.
Best dived on the ebb flow when it is low tide at The Heads. Conditions are usually best with no wind or after a few days of Northerlies as surface conditions remain calm. 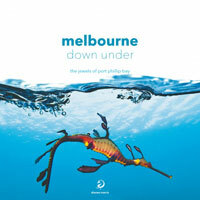 One of Melbourne's most well known and best shore dive location on this side of Port Phillip Bay. This site is in the bite between point Lonsdale and Shortland's Bluff or Queenscliff. Named after a historic building on the foreshore the diving here although shallow is beautiful with a series of small reefs running parallel to the shore. Lots of fish and the odd old bottle may be seen here. This is a great site for the last dive of the day or as a training dive. Abundance of fish life including cuttlefish, crays, sea dragons, etc. The dive site opens up towards the main heads of Port Phillip Bay and is often exposed to ocean swell. On a good day it is an awesome dive with significant cliff faces, bommies and rock formations down to a depth of about 9 metres. It can get a little busy during summer. Rock wall of 2-4 metres is about a 50 metre swim from shore and is a few hundred metres long. 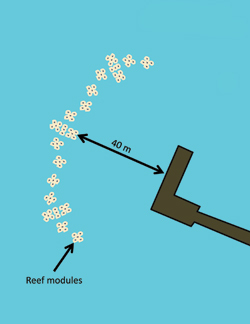 You will need to swim at a bearing of 190 degrees over sand to get to the reef. Most of the dive is at around 6 to 8 metres. The rock wall has swimthroughs and ledges you can poke your head under. Can be current and swell prone so weather is important to take note of. The critters here include stingrays, damselfish, morwong, wrasse, blue devils, old wives, leatherjackets, weedy sea dragons and cuttlefish. Lots of pretty starfish as well. Weather Required: N to W winds. Needs to be low tide at the heads and dived in slack water to ebb tide as the current can be quite strong. Access: Shore entry, head down the stairs and straight out to the sea, not a long walk. Facilities: Small free carpark. No lighting. Depth: 0 to 10 m.
Provided you are experienced in currents, diving off the platform around Shortland Bluff beacon while challenging is well worth the effort. Shortland Bluff is best dived on a slack water flood. 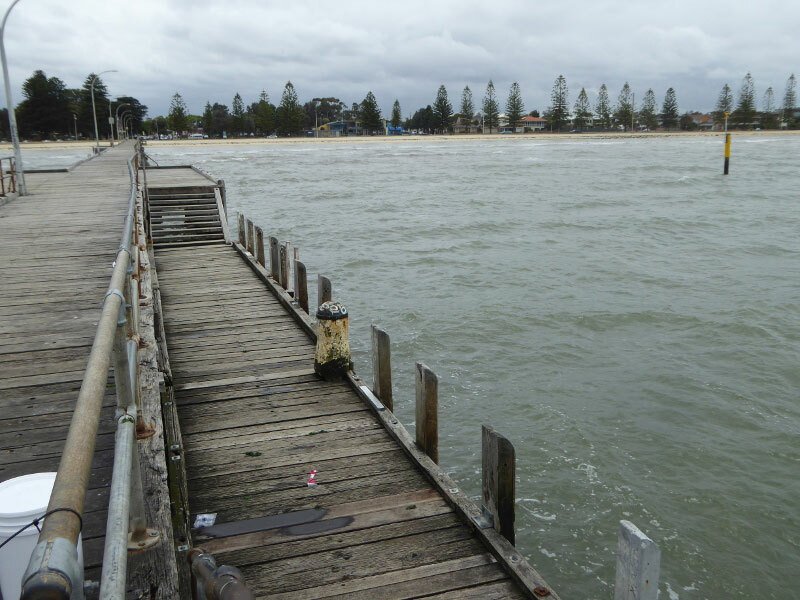 Depth: 3 to 15 m.
Queenscliff Pier is a popular diver training spot. 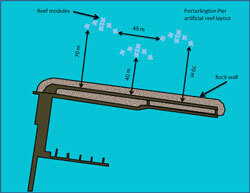 The Pipelines at Indented Head are the water intake for the Great Southern Water onshore abalone farm. They run out about 500 metres towards Governor Reef. The end of the pipelines is marked with a yellow buoy. Be careful of boats in this area and take a dive flag buoy. Depth: 1 to 4 m.
The wooden barque Dominion was towed into Melbourne from Fremantle in 1902. Licence to operate as a coal/wool lighter issued by Melbourne Harbor Trust to owners, Howard Smith & Co. Ltd. Renewed 1 June 1916. New owner Australian Steamships Ltd 25 January 1917 - licence renewed 12 February 1918. 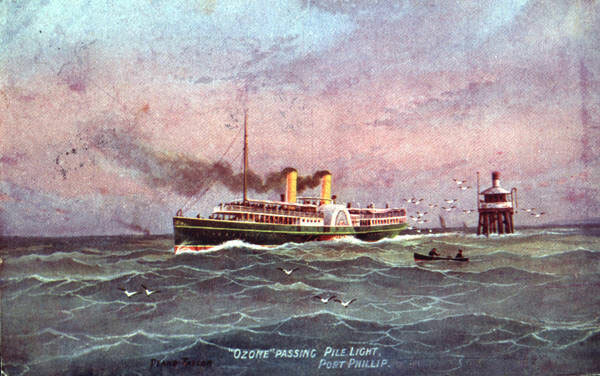 Captain Forbes purchased the hulk in 1925, together with paddle steamer Ozone, to act as breakwater for small craft. The scheme failed when vandals set fire to Dominion, and Ozone did not settle in correct position. Register closed November 1921. Originally a wool ship, then Newcastle coal hulk. From the beach at Indented Head, make your way out over the shallow sandy bottom to the Ozone and explore the remains. The remains of the Dominion are about 20 metres north of the Ozone. There's a small car park and boat ramp, so you can usually park very close to the water. About 50 metres (164 feet) offshore there are rocks sticking out of the water which are surrounded by drop offs and boulders. High tide gives extra depth under the walkway. Flathead, old wives, moonlighters etc. can be seen on the silty bottom. The Geelong Sea Baths site is quite crap and the vis is often going to be atrocious. Lots of rubbish in the sea baths and it's quite icky. If you swim along the inside of the baths, the bars will bang against each other which is kind of freaky. Not much sealife but that could be because of the bad viz. There are some sponge growths on the seabath walls. Lots of relics to find that people have dropped in amongst the rubbish. Weather Required: Protected from all winds other than NE winds, however visibility will be ruined by any wind around Corio Bay as it is stirred up easily. Access: Short walk from carpark. Fee for carpark, but not sure how much. Facilities: Toilets, cafe near by. 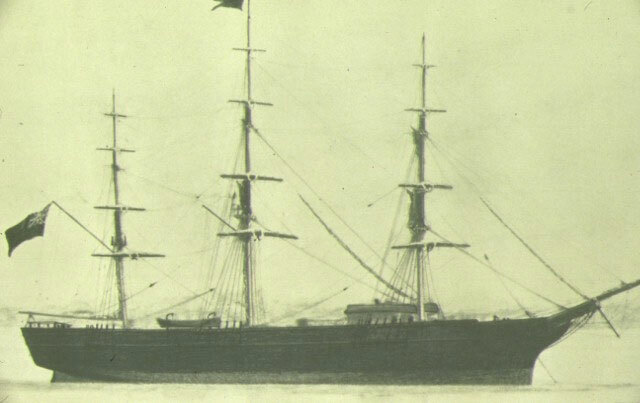 The Lightning is historically significant for being one of the fastest wooden ships ever built, the first clipper built in the USA for British owners and being the worst shipping disaster in Geelong's history. It spent its whole career carrying cargo and immigrants from England to Australia. See also, Australian National Shipwreck Database: Lightning, and Heritage Council Victoria: Lightning. 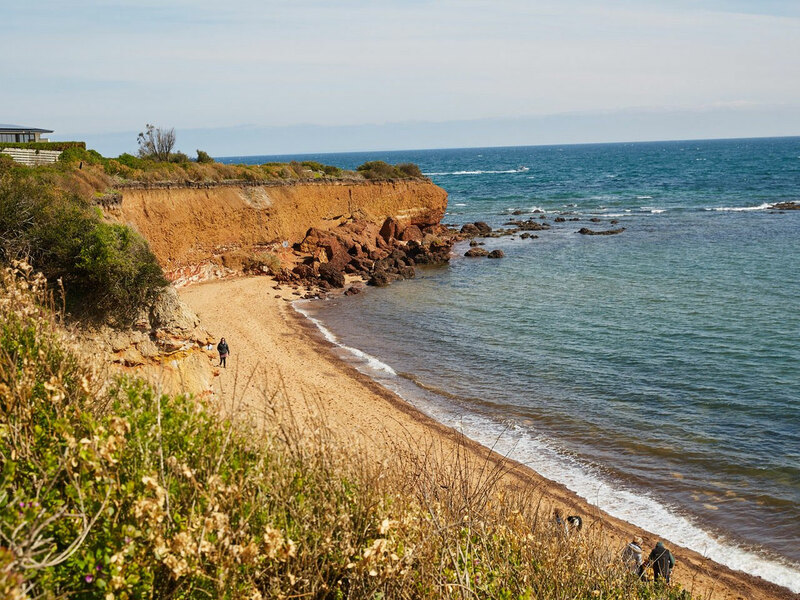 Situated on the sheltered rocky shores of north-western Port Phillip Bay, Point Cooke Beach is located within the Point Cooke Marine Sanctuary. A narrow sandy beach separates the land from the sea. Beneath the water prickly sea urchins are abundant near crevices, while the more exposed sections of the rock support a range of life that includes masses of tubeworms, carpets of anemones and turfs of tufting coralline and filamentous algae. In darker corners, sponges grow plentifully while the Southern Blennies hide in the crevices. Small sharks and skates patrol the surrounding eelgrass beds and muddy seafloor. Diving and snorkelling sites at Point Cooke include two heritage listed shipwrecks - Henrietta and Diana. Many small fish and invertebrates can be seen on the rocky reef. See also Parks Victoria: Point Cooke Marine Sanctuary, and Point Cooke Marine Sanctuary Park Notes. West of the beach at Williamstown is a small promontory known as 'The Jawbone'. The eastern side of Jawbone is dominated by basalt boulders with encrusting worms and mussels. Numerous sea-stars and crabs inhabit the crevices, while shrimps and small fish dart amongst the weeds. This site is located within the Jawbone Marine Sanctuary, which is the most northern marine sanctuary in Port Phillip Bay. 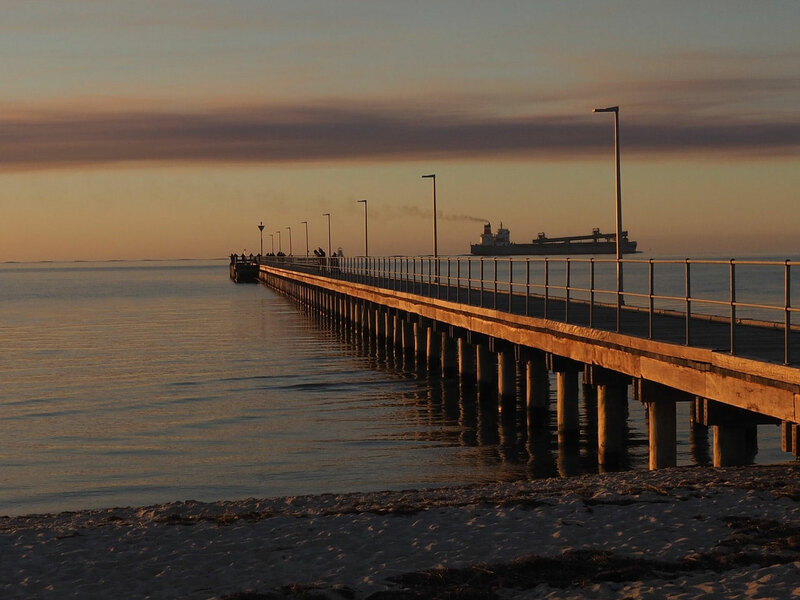 Jawbone Marine Sanctuary, named after its shape, is located in Williamstown and protects 30ha of coastal waters. The little promontory, west of the beach at Williamstown, has been fenced off from the rest of the world for over 80 years by a coastal rifle range. This forgotten and unspoilt place is now considered a haven for coastal and marine life right next to Melbourne. Nice site apart from walk down to the beach. In the shallows there is lots of seagrass with pipefish to be found nearly all of the time. Dumpling squid, wollongog bugs, sand octopuses, tiny seahorses, leatherjackets, zebrafish, clingfish and crabs have been spotted here. More protected than Williamstown Beach Breakwater (Crystals), so a good site to dive instead when the wind is up. There is a wreck not far off shore as well, and there are many spots to dive here in all directions. The further south you go the deeper it gets and there are also colourful corals to be spotted here. Jawbone Marine Sanctuary Care Group. Weather Required: Offshore winds (N, E, NE), or moderate fonshore winds (NW, S, SW, S, SE), protected from rain runoff. Access: Long walk from Mullins Ct down track to the beach. Facilities: Carpark on Mullins Ct. Lighting at night. Williamstown Beach Breakwater, also known as Crystals, near Williamstown, is great for a midweek dive as it's only about 25 minutes from Hawthorn. It has easy entry and exit and there are lots of critters to see. If you head out from the stairs along the breakwater you will see more than if you head out into the more open area to the west of the breakwater. It can get very shallow the more west you head so the best strategy is to either enter via the beach and work your way around the breakwater or vice versa. There are dozens of short headed seahorses if you pay close attention to the weeds, blue ring octopuses, many cushion sea stars (among other kinds) and tonnes of sea urchins (so check before you grab onto anything). 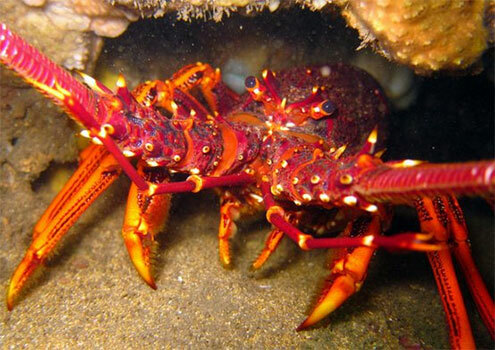 There are also short tailed nudibranchs, decorator crabs and HEAPS of cardinal fish (especially at night). Old Wives, dumpling squid, stingarees, fiddler rays, clingfish and pygmy leatherjackets have also been seen. Weather Required: Offshore winds (N, E, NE) or light onshore winds (NW, S, SW, S, SE), no rain runoff. Access: Shore beach entry or entry via steps near break water, short walk to either entry from car park. Facilities: Toilets open until about 9-10pm near surf life saving club, parking ($2.70/hr or $10.80 all day 8am-8pm, machine takes credit card). Poor lighting at night. Along the Port Phillip Bay side of Williamstown the shoreline is a continuous series of rock ledges and outcrops. The Point Gellibrand Rockpools, Battery Road, Williamstown, are initially shallow and rocky underfoot, but the bottom slowly deepens out into a broad area of reef. There is a good quantity of fish life out here including some very big colourful nudibranchs. It can be a very rewarding area for macro photography very close to the city of Melbourne. Free parking at either end of Battery Road. The car park at the playground is closest for accessing the rock pools. This site is also known as Bunbury Rockpools. 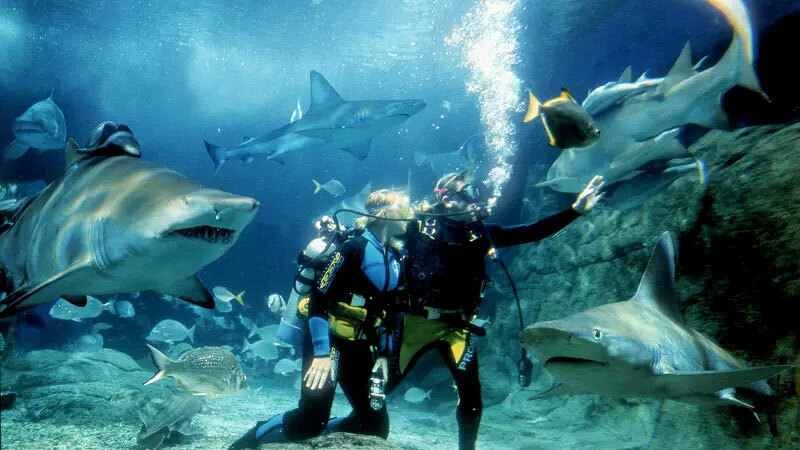 Experience the huge adrenaline rush of coming face-to-face with a shark! Take the plunge inside Melbourne Aquarium's 2.2 million litre Oceanarium. It's all part of an adventure where you'll encounter creatures of the deep and have an experience you'll never forget. Fully qualified instructors will ensure your dive is a thrilling, never-to-be forgotten experience! The dive is suitable for non-divers (a brief resort-style dive course is included) and certified divers. 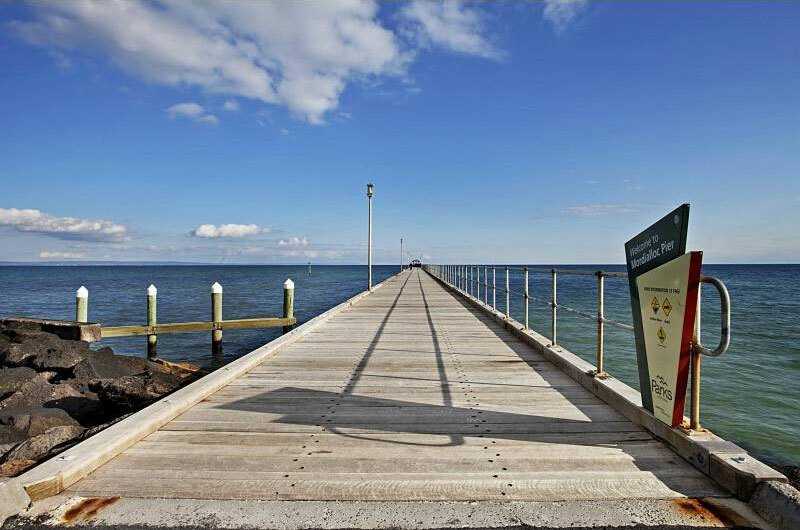 Depth: 4 to 7 m.
The Sandringham Pier is a good spot for a shallow day or night dive. The pier itself is the best entry point for all divers. Just around the end of the rocky breakwater itself lies the hulk of the cable layer Francis Henty in 3 to 5 metres of water. At Sandringham Pier you'll also find the wreck of the HMAS J7 J-class submarine that was scuttled at Sandringham in August 1930 to form a breakwater. Because she swung around and sunk in the wrong direction, she eventually became incorporated into subsequent moorings. Depth: 0 to 6 m.
Best dived in anything but a southerly. Just before high tide will give the clearest water. Ricketts Point Marine Sanctuary is a 115 hectare marine sanctuary located at Black Rock on the Eastern side of Port Phillip Bay. Rickett's Point has easy access to a wide shallow reef. This is a great site for beginners and night dive enthusiasts. There are a number of separate dive sites along the cliffy foreshore. It's so close to the city, thus very convenient for those living in Melbourne. Great for getting back in the water, a night dive after work, or just an excuse to get wet! The fish life is quite varied. Snapper, flathead, octopus and stingrays are seen here on a regular basis. Entry is slightly west of the lookout via the beach below. Best direction to head is southeast towards the boat beacon to take you onto the edge of the reef. If you head further round the cliff it will take you to Table Rock (about 4-5 m of water), you can follow it right round to the sea wall if you like. Just make sure you have enough air. The surface swim back is much harder then underwater. If you park across the road, be careful crossing the road in all you gear as the cars come past very quickly. Always take a dive flag! See also Ricketts Point Marine National Park Notes. An interesting dive, especially for the scrounge diver as there are bits and pieces in the area of the old Keefer's Boatyard jetty and the nearby Beaumaris Motor Yacht Squadron jetty. There is likely to be small boat and dinghy traffic at this dive site, so tow a dive flag. Pelican Point Reef, Daveys Bay, is a pleasant and safe snorkelling and diving site, suitable for newcomers. 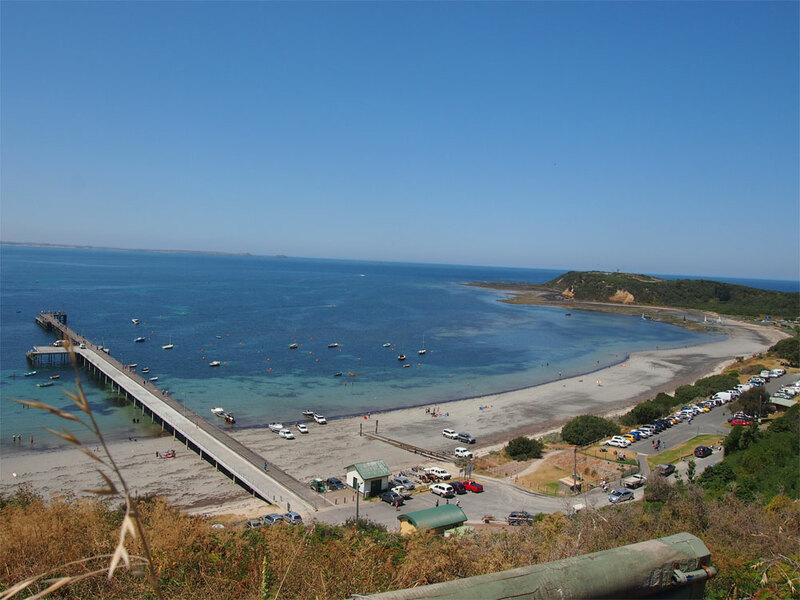 It's located at the North West end of Davey's Bay, Mount Eliza on the Mornington Peninsula. Access is from the end of Daveys Bay Road where public parking is available. Ranelagh Beach in Mount Eliza is accessed from a track that leads down to the shacks on the beach from the carpark at the end of Earimil Drive. There are things to see at both ends of the beach. You ca also head out to Cahill's Reef, marked by a beacon. Be careful of jet skis and other boating traffic. Best to tow a dive flag. Always great for rays, seahorses and giant cuttlefish. Access is down a short scrambly sloped track opposite the end of Canterbury Street. Off the beach there is a wide rubble and rock strewn sea floor with small fish and crustaceans. A good beginner's dive. Marina Cove, Mornington, has a boulder strewn sea floor deepens gradually from 2 to 8 metres heading out from the shore. Small fish life and crustaceans. Marina Cove is south of Point Linley, accessible from a track leading from the Esplanade opposite King George Avenue. 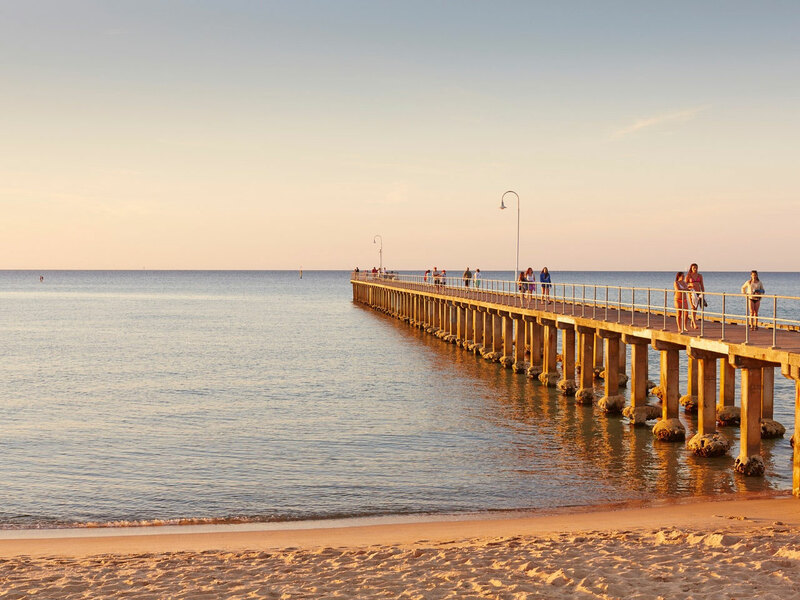 Rosebud Pier on the Mornington Peninsula is located opposite Jetty Road and extends about 300 metres into the water. 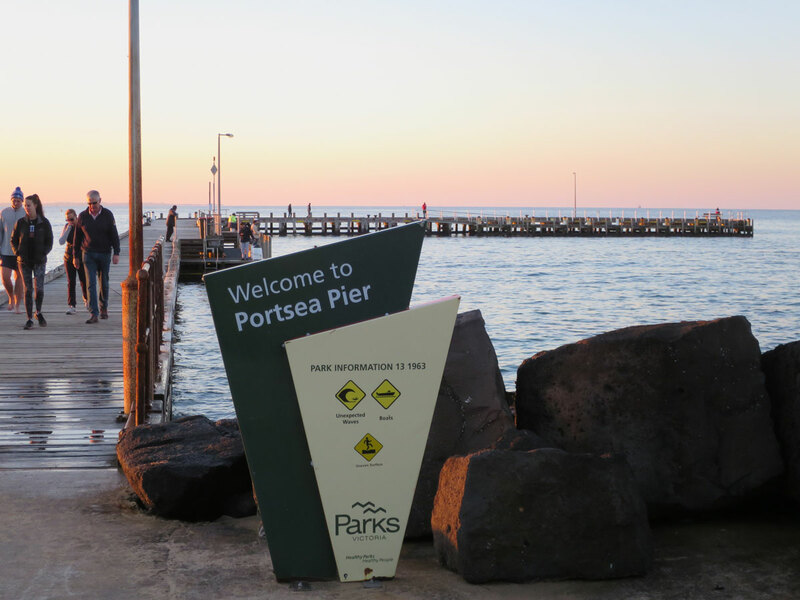 Rosebud Pier is also just a 20 minute drive from The Scuba Doctor Dive Shop. Please drop in and catch up with us before and/or after your dive. 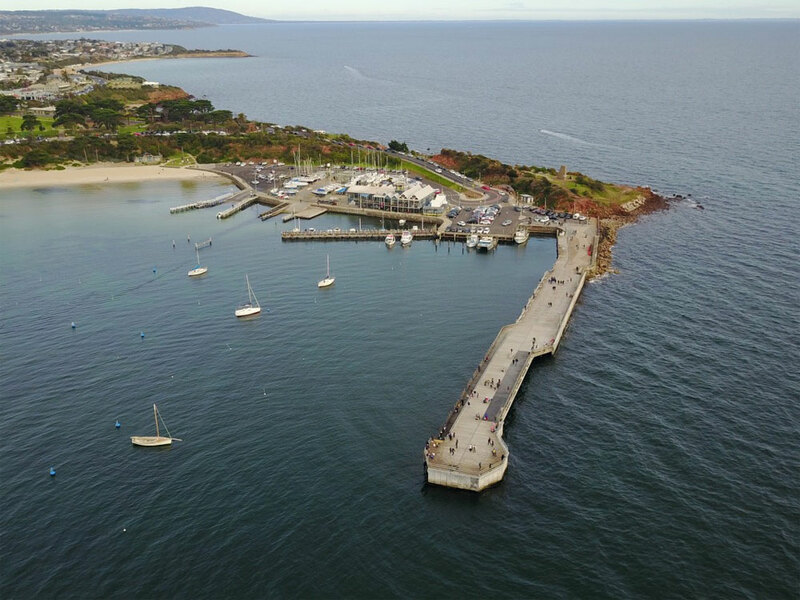 Public berthing is available on Rosebud Pier for up to 48 hours at a time (vessels should be attended). Other restrictions are detailed on Parks Victoria signs. Depth: 6 to 8 m.
The boat mooring area just out from the Sorrento Boat Ramp in Port Phillip Bay, Victoria. Source: Google Earth. Approximate location only. Depth: 2 to 15 m.
Probably the best shore diving in the whole of Victoria is diving the Back Beaches of the Nepean Peninsula. These dive sites are exposed to the seas of Bass Strait and the ocean swells which has resulted in a heavily eroded underwater landscape full of caves, tunnels, gullies, swim throughs and canyons crammed with oceanic fish and marine life. You'll find a range of fish hiding within this environment like wrasse, parrot fish, whiting, abalone, rays, wobegongs, port jackon sharks and more! There is also a lot of kelp cover around these areas. However the swell, storms, massive waves and fierce rips make these sites highly dangerous for divers except in rare flat conditions. But as all of the local divers know, when the conditions are right, the diving is magnificent! But these are tough dive sites not for the average diver, with real problems and serious consequences if you get it wrong. Don't underestimate the problems that lie in wait, or overestimate your own abilities when diving the Back Beaches. Winds: Diving the Back Beaches is generally only possible after several days of no winds, or several days of prolonged northerly winds. These conditions flatten out the swells. Tides: Make all of your entries on Low Tide, or 1 to 2 hours before Low Tide. Tidal ranges on the Back Beaches are in the order of several metres. Low Tide exposes the entry and exit rock platforms you need to use. Surf and Swells: Looking at any of the Back Beach dive sites when the surf is pounding in should convince you to forget it and head for the calmer waters of Port Phillip Bay. Even on days when it seems the surf and swell is low, watch the sea for at least 20-30 minutes to see what happens. Rips: All of the Back Beach dive site are rip prone. Swimmers and divers have been drowned at these sites. Australian Prime Minister Harold Holt died in wild surf conditions at Cheviot Beach on 17 December 1967. Be aware of rips in relation to your planned dive route and make sure you surface several times during the dive to make sure you're still on course. 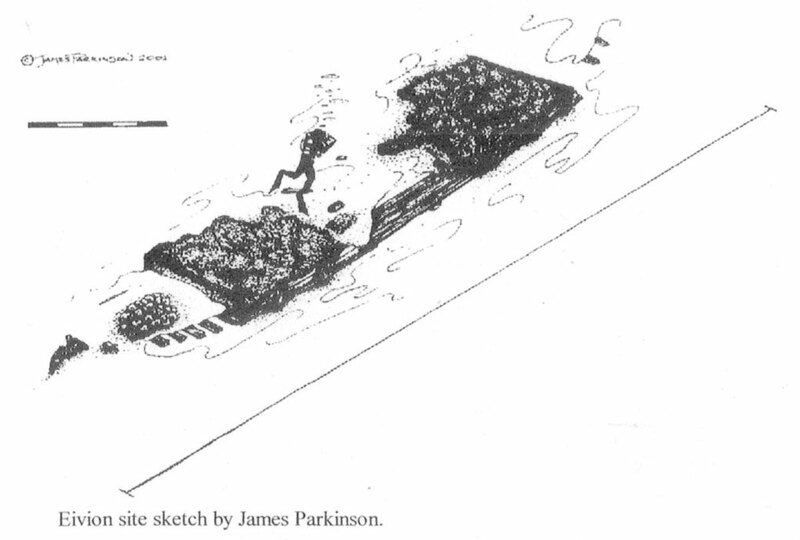 Platforms and Exits: The limestone platforms of the Back Beach dive sites are separated by gullies which are usually the most protected entry and exit points. Before you begin your dive, locate a few exit point options just in case conditions change while you are underwater. Always return to shore with plenty of air in reserve. It could be vital if you experience difficult conditions while exiting, or get tangled in the kelp. See also, Diving the Back Beaches. Depth: 5 to 7 m.
St Paul's Rock, at the end of St Paul's Road in Sorrento, is west of the small beach and has a nice swim through tunnel running underneath. St Pauls Road Back Beach, Sorrento is just a 10 minute drive from The Scuba Doctor Dive Shop. Please drop in and catch up with us before and/or after your dive. 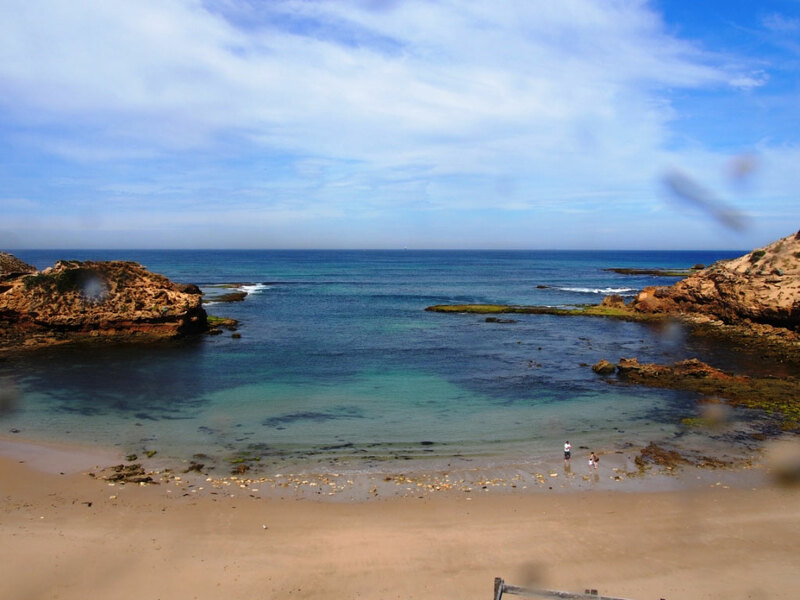 As an ocean beach Diamond Bay is affected by rips, currents, swell and strong winds and can be very dangerous. To dive here there must be very little to no swell and if any winds, a northerly. Be aware that conditions here can change very quickly also. First off, to get to this dive site, which is amazing and not often dived, there is a bit of a walk. Over sand dunes and down stairs, so this may not be for everyone, but if you have a good set of legs on you it is well worth it. It's about 130 m from the car park with the last 50 metres consisting of stairs and a walk across the soft sand of the beach. It has many rock ledges and overhangs, kelp beds, reefs and small walls. In these is a variety of life including the odd crayfish! You'll also find old wives, boarfish, abalone, and schooling fish. Another thing to be mindful is of the visibility, it can change quite quickly with the swell as its a sandy bottom. It advisable to go with someone who has been before also to come to the surface to check conditions and for navigational purposes every once in a while. Now you can walk straight in from the stairs though you'll probably find more and avoid just looking at sand if you head over to side and swim towards either point. Once you get about half way along the bay is where the dive really starts and also begins to deepen. You'll find some bommies and kelp forest just before the point on the right hand side — the direction usually taken. Diamond Bay is a spectacular dive site but not often diveable. This site is more protected than other Mornington Peninsula Back Beach dive sites so when others are too rough this site can be okay. Awesome looking landscape with lots of kelp, gullies, interesting rock formations and overhangs due to the surf pounding at the rocks. Not much macro life but you can find lots of crayfish and abalone (so bring measuring device if you want to catch some), wrasse, sharks including catsharks and Port Jacksons and lots of leatherjackets. Viz can be bad close to shore but clears up the further out you go if the weather is good. Weather can turn bad quickly so it can be helpful to check on conditions now and again throughout the dive. There are often rock fisherman on the east side of the bay on the cliff face or shallow rock ledge on the west so beware of their fishing lines. If you're lucky enough to dive here on the right day everyone will be jealous. There aren't many facilities here so make sure you have everything you need including dive flag, knife, SMB and possibly a catch bag! Access: Via shore down steep stairs from carpark. Facilities: Free park - fairly small so busy in summer. Weather Required: Very little swell (less than 6 ft, with periods of 10s or more) which generally means 3-4 days of N to NE winds prior to diving here. MELWAY Ref: Page 156 B12. Diamond Bay is just a 10 minute drive from The Scuba Doctor Dive Shop. Please drop in and catch up with us before and/or after your dive. Should only be dived by experienced divers with plenty of fitness and strength, even on calm days. Depth: 5 to 15 m.
From the carpark at the end of St John's Wood Road, you take the track east to Bridgewater Bay. At the eastern end of Bridgewater Bay is 'The Bridge'. At the western end is Graham's Reef which leads you further west around Koreen Point and to Fowler's Beach. Reach by driving down the coastal extension of Canterbury Jetty Road to the car park. To the west of the beach there is a series of ledges and gullies dropping off a wide platform, and access is straight off the edge. Cape Schanck is one of the more epic shore dives in Victoria. You will be walking nearly one kilometre from the carpark to the dive site, plus you'll be carrying your dive gear 100 metres down and then back up at the end. From the entry point at the end of the point you'll swim around the Cape in the channel between Pulpit Rock. As you work your way up the western side you'll find big gullies, gorges and bommies and a rocky bottom. 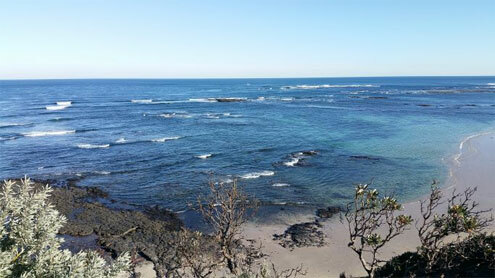 Cape Schanck is just a 20 minute drive from The Scuba Doctor Dive Shop. Please drop in and catch up with us before and/or after your dive. The Blowhole is an accessible shore site between Cape Schank and Flinders, in Bass Strait. Depth: 3 to 11 m.
Mushroom Reef site is much like the other Mornington Peninsula Back Beach dives over Portsea/Sorrento way. It is located near Flinders Pier, but is quite exposed. Can be a lot of surge even on calm looking days. The landscape is quite nice and there are lots of cool leatherjackets and marine life similar to Diamond Bay and St. Paul's. Named for its mushroom shaped reef, this site is a part of the Mushroom Reef Marine Sanctury which protects 80ha of the open coast of Flinders on the Mornington Peninsula. Composed of sandstone rock platforms extending from the shore, the park includes sheltered rock pools, coves and a shallow reef on the ocean side. The reef is formed from ancient basalt which has weathered beautifully, allowing creatures to hide within crevices and cracks or under loose rocks. This area is famous for its diversity of marine life and has attracted scientists for over 100 years. The intertidal soft sediment is an important feeding and roosting habitat for many birds. When searching the rockpools one can find many crabs, multicoloured cushion seastars, numerous species of snails and delicate anemones. The seafloor (2-3m) is covered with canopy forming brown algae and patches of seagrass which attract many species of fish such as morwongs, wrasse, cowfish and Victoria's marine emblem, the Weedy Seadragon. If you're lucky you may be able to spot a Black and White Seastar. This amazing creature is one of only two seastars known to brood its young in its stomach. Mushroom Reef Marine Sanctuary Map (Adobe PDF | 159.25 KB). Access: Entry via shore after short walk from the carpark down the stairs. Facilities: Free car park at all times. No toilet and no rubbish bins for litter. Depth: 3 to 8 m.
Depth: 5 to 9 m.
The Jewels of Port Phillip Bay"
Sheree Marris, a former Young Australian of the Year (Environment) and award-winning aquatic scientist, reveals the city's best kept secret, Port Phillip Bay - a stunning marine environment with colour and diversity to rival any tropical reef. Vibrant sponge gardens, towering forests of kelp, fish that fly, birds that swim and dragons that sparkle like jewels, are some of the treasures you can expect to find. 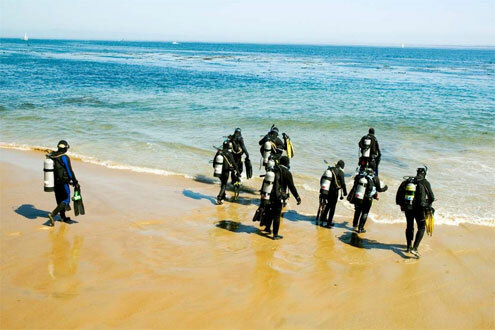 There is much to learn and enjoy as you shore dive Victoria's coastline. This book is a comprehensive guide to over 120 scuba diving and snorkelling dive sites accessible from shore along the Victorian coast, with maps and charts. A resource such as this doesn't get built without the support, assistance or inspiration from plenty of other divers along the way. We'd like to acknowledge the following divers in particular: Ian Lewis, Peter Stone, Sheree Marris, Andrew Newton, Peter Fuller, John Gaskell, Christopher Smith, Evan Coker, Brendan Edwards, Alan Beckhurst, Mary Malloy, David Bryant, Scott Grimster, Michael Mallis, Phil Watson, David Reinhard, John Lawler and Lloyd Borrett. Plus the staff and customers of The Scuba Doctor. You can see where the popular Melbourne and Victorian shore dive locations are via our Melbourne Dive Sites Map. 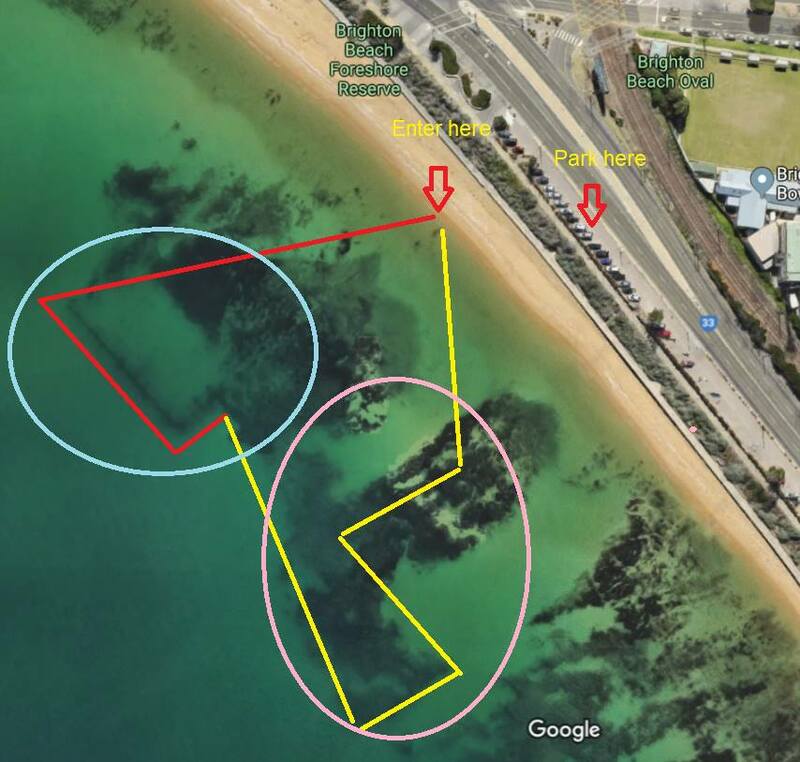 The GPS marks for these shore dives are also listed on our Melbourne Dive Site GPS Marks page.